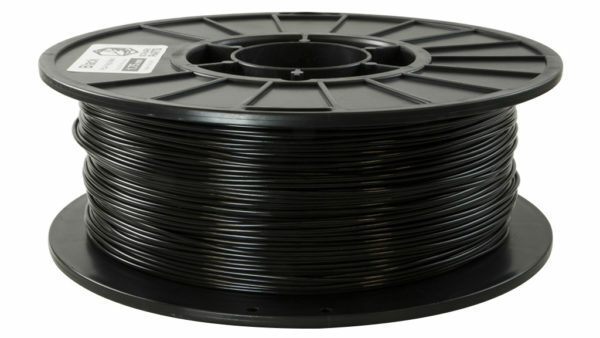 Standard PLA from 3D-Fuel for reliable, everyday use. Ovality metrics listed on each box. A full 1kg of filament on each spool. 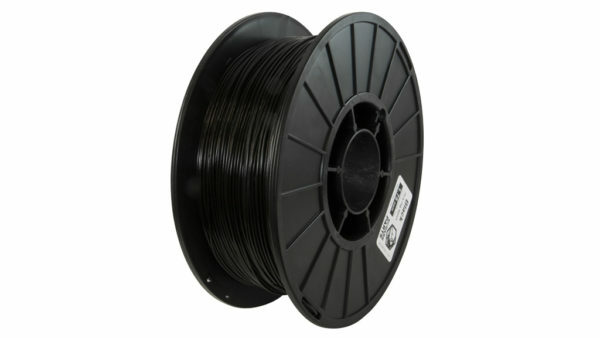 Midnight Black is our most popular color of 3D-Fuel Standard PLA 3D printer filament. You can never go wrong with Midnight Black. PLA, or Polylactic Acid, is among the most popular 3D printing materials in the world because it is easy to print and strong. Standard PLA is a non-toxic hard plastic that produces minimal to no odor when printing. Standard PLA has a quick transition from molten to solid, enabling it to provide more detail than other plastics. Quality: All 3D-Fuel 3D printer filament is manufactured in Fargo, North Dakota. Complete control over the manufacturing process ensures consistent quality for every spool. 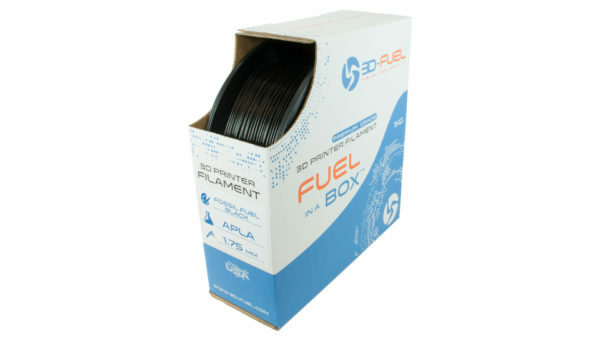 Learn more about 3D-Fuel filament quality. Diameter Tolerance: Variable diameter can cause big problems in your 3D printer. 3D-Fuel uses a multi-axis laser measurement system to control our filament diameter and ovality in real time during production. Every spool has the diameter and ovality measurements listed right on the box. Packing Information: A full 1kg (2.2lbs) of 3D-Fuel Midnight Black Standard PLA plastic filament arrives on a plastic reel and is vacuum sealed with a desiccant packet to keep out any moisture.